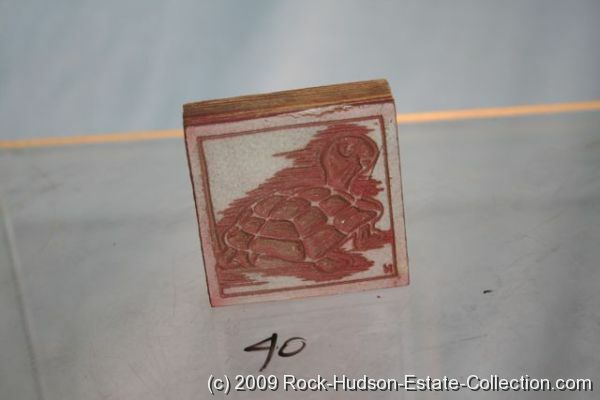 IMG_1179 Turtle rubber stamp. George collected turtles. Size: 2.5" x 2.5" sq. Two bullets called "Minnie Balls"
Two bullets called "mini balls." 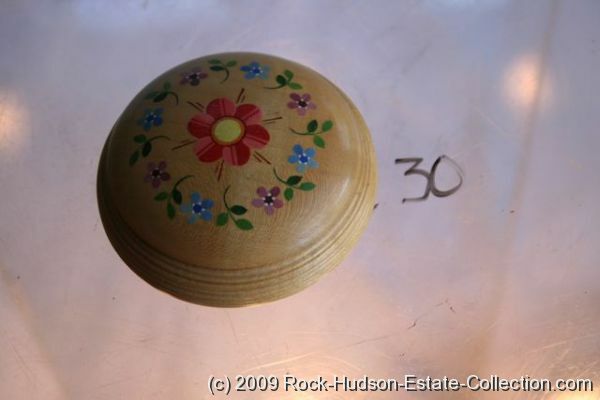 Also one Minnie ball replica. 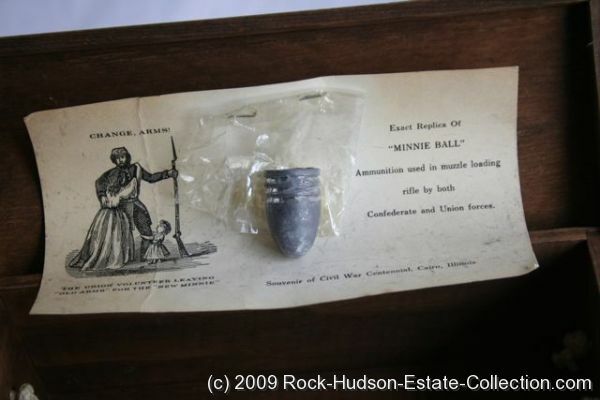 This is the ammunition used in muzzle loading rifles by both the Confederate and Union forces during the Civil War. 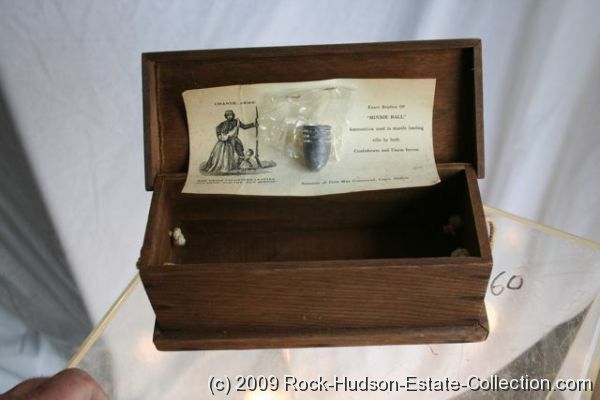 Comes in a box that is shaped like a coffin. 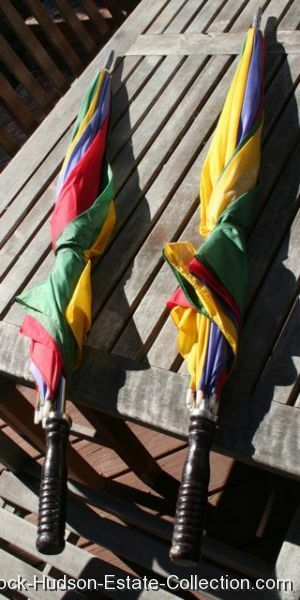 Here are two umbrellas from George Nader. 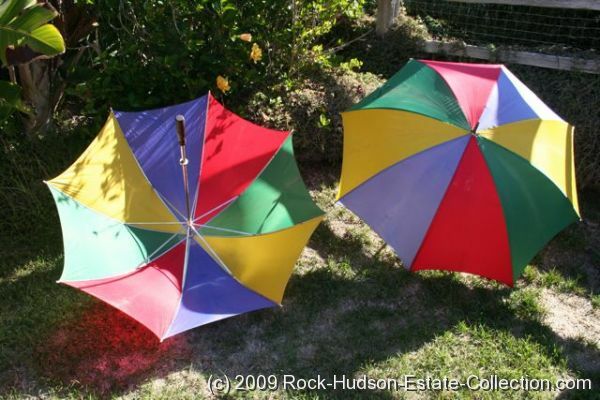 These were used to shade him from the sun when he lived on Maui, Hawaii. 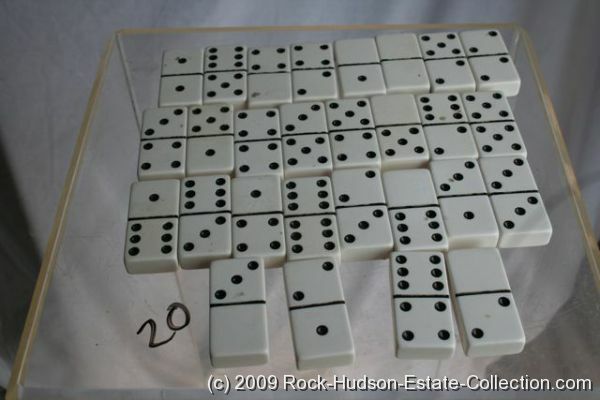 While sitting on the beach or on a pool lounge chair he used these. They are very large. 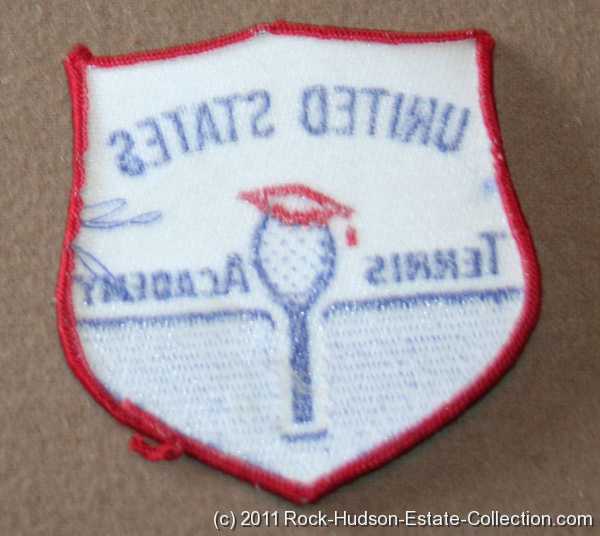 COMES WITH A CERTIFICATE OF AUTHENTICITY AND A LIFETIME GUARANTEE OF AUTHENTICITY. HERE IS A FUN ONE!!! 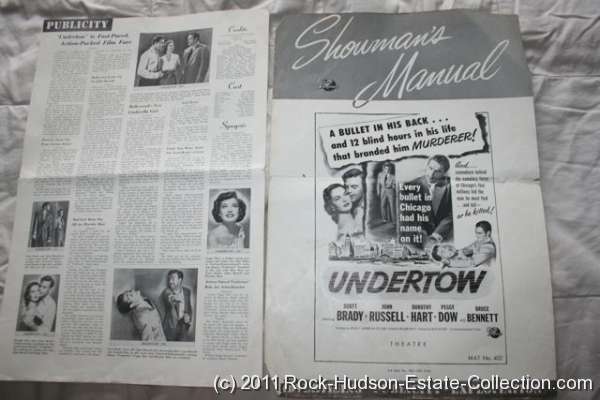 It is a showman's manual from Rock Hudson's film "Undertow". 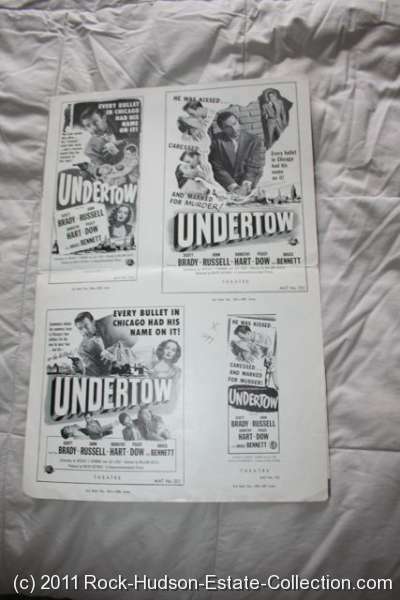 The film co-stars Scott Brady, John Russell, Dorothy Hart, Peggy Dow and Bruce Bennett. Rock doesn't even get "starring role" credit. 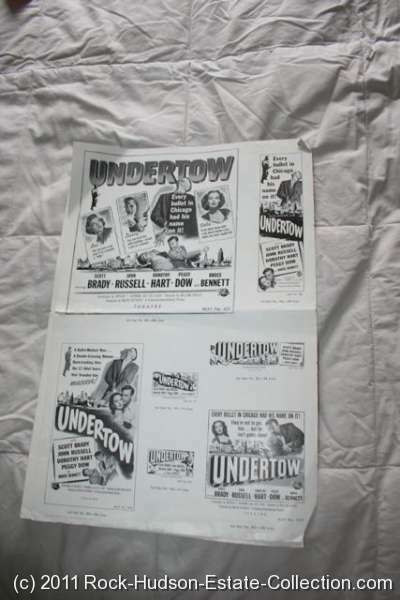 It was one of his first films done in 1949. 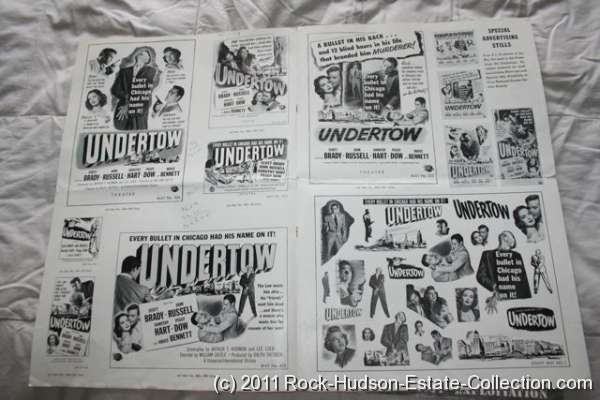 A very fun piece found in the file cabinet of Rock Hudson. 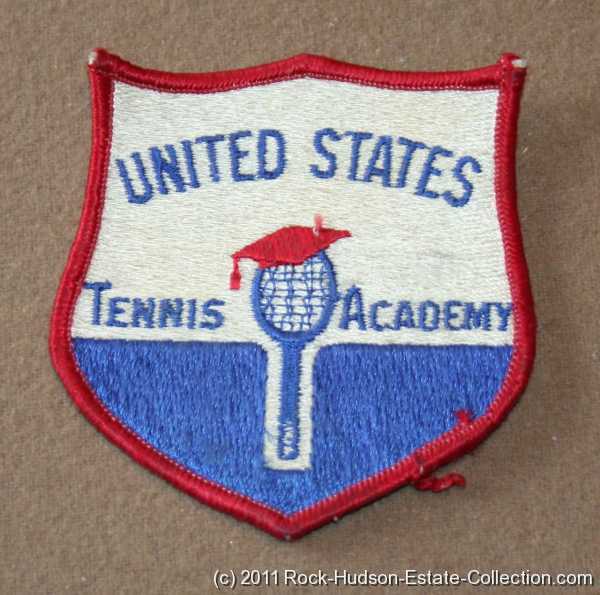 This is a United States Tennis Academy patch. 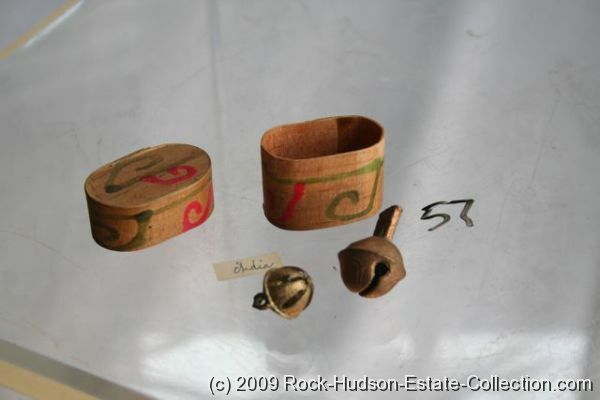 Once again, I find these things in boxes that i am currently unpacking of Rock's. They have been packed for decades. It is like a treasure hunt. I will add from the tiniest of things to the largest of things. All things that I find!!!!! IMG_1077 Weaving hook bronze grape leaf style. Very nice piece. Rock and some of his immediate friends knitted. It was one of their favorite past times. 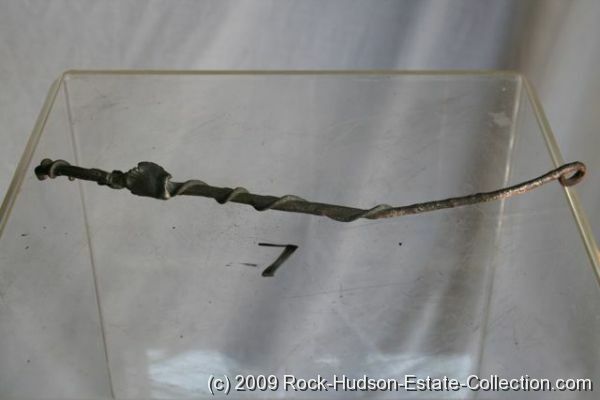 This is a hook that was in his collection. A GEORGE NADER WONDERFUL FIND!!!!!! 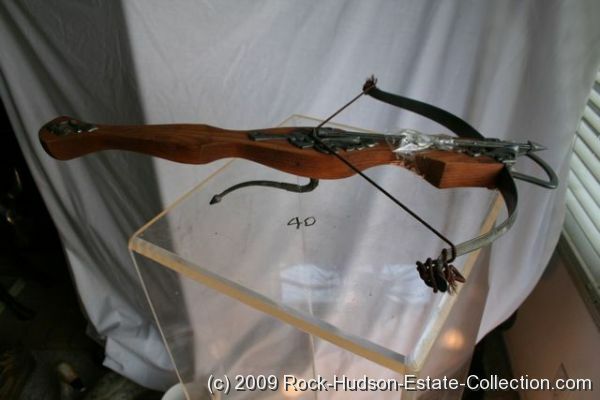 Wood and Pewter Spanish Crossbow-new. Bought by George Nader at the castle Segovia in Spain. Comes with one dart. 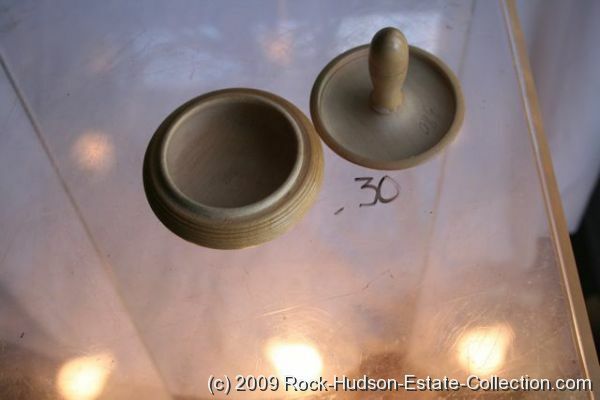 Wooden box 3 piece with handle that goes into lid round.